Just want to take a few minutes to wish everyone a very HAPPY NEW YEAR!!!! Also thank you for being a reader of my blog! It is very much appreciated!!! Also if you need a few last minute ideas for New Year's Eve activities to do with the kids (and some for the beginning of the new year), just click on the link below. According to the Old Farmer's Almanac winter will START in 3 days on December 21 at 12:11 PM!!!!! 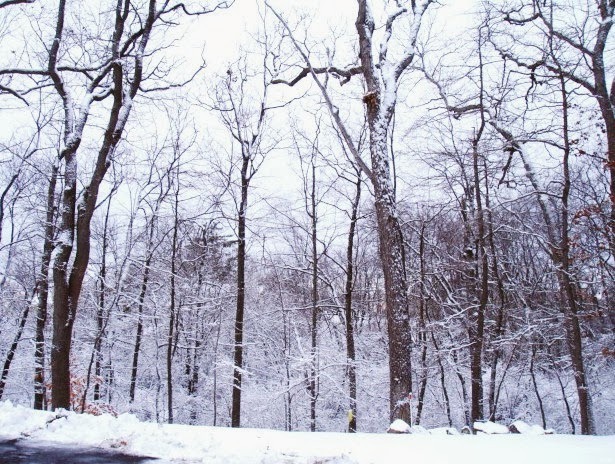 But if you look out any of my windows you will already see LOTS of snow. This is a great time to get in a science lesson teaching the younger kids about the 4 seasons and the older kids about the Winter Solstice (if you live in the northern hemisphere). On December 21 (the winter solstice), we will have the shortest day of the year (fewest hours of sunlight).This is caused by the Earth's orbit and the axis of the Earth being tilted away from the Sun (in the northern hemisphere). The angle of the tilt is 23.44 degrees. You could also tie in a math lesson about time by making a fun winter paper plate clock with the kids. 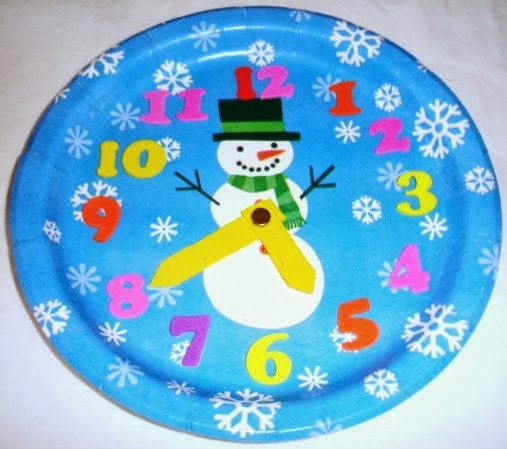 Instead of using a decorated plate as pictured below, the kids could draw their own snowman or other winter theme on a plain paper plate then add the extras to turn their paper plate into a clock. This will be great to use all winter during math lessons. Listed below are some links to help teach about the Seasons and directions for making paper plate clocks. Teachers Pay Teachers is having their BIG Cyber Monday and Tuesday SALE today and tomorrow! If you have been shopping there and adding items to your wish list, now would be the time to purchase. Don't forget to use the Promo Code: CYBER to get an extra 10% off lots of items that are already marked down. In my store, ALL items will be at least 28% off when you use the Promo Code and my BUNDLES will be more than 28 % off! Are you ready for Christmas and Winter??? Could you use a couple of seasonal 100 and 120 number charts for your students to use in math this month? Here are 2 with a Christmas /Winter Theme. Both of these charts are free at my website. Just click on the link below or the above picture.